Thousands of investors face financial ruin because they won’t be able to settle the “off the plan” apartments they signed up to buy. You see… industry insiders are worrying about a ticking time bomb, that the average property punter is not aware. As if those who recently bought off the plan apartments didn’t already have enough to worry about with an oversupply of new apartments and tougher lending criteria, a recent report prepared by Corelogic for The Australian shows that nearly half of the new apartments that were settled last month in Sydney and Melbourne markets had valuations that came in at less than the buyer paid. Many of those investors committed to their purchase a number of years ago when the climate was very different. CoreLogic found that 45 per cent of new apartments in Sydney settled last month with valuations which were undertaken at the completion of the project so the purchaser could obtain finance —were below the off-the-plan purchase price, up from 18 per cent a year ago. In Melbourne, 46 per cent of investors settling on their properties found they overpaid as mortgage valuations fell below their purchase price. This compares with 23 per cent a year ago. At the time these investors made their original purchases sentiment was high, foreign investors were clamouring to buy off the plan apartments in our two big capital cities – Sydney and Melbourne; and local investors were happy to put down a small deposit anticipating strong capital growth prior to completion. But boy have things changed! 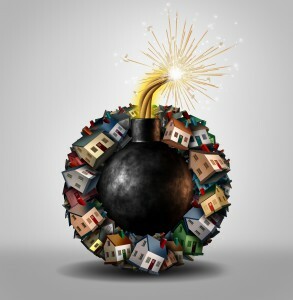 Currently falling property values, tighter lending standards, a looming oversupply of new and off the plan apartments creating higher vacancy rates as well as Labor’s proposed tax changes if elected, are creating a ticking time bomb for those many investors who are still waiting to settle there off the plan purchases. And matters will only get worse over the next two years as construction of many of the projects currently under construction completes. The problem is that off the plan property buyers can’t obtain pre-approvals to finance their purchase, as these are only valid for 90 days. This means many put down a 10 per cent deposit intending to finance the remaining 90 per cent of purchase price on settlement. However, many of these buyers will not be able to obtain finance to complete their purchase because of the lower valuations they will at a time when the banks are lowering their loan to value ratios for some of the planned purchases than significantly restricting lending in other projects. 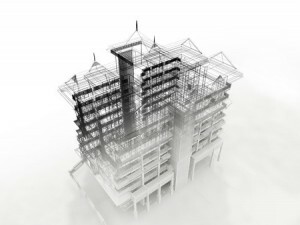 Buying off-the -plan is a gamble on how the market will perform. Buyers decide to purchase a property often before construction has commenced. They exchange legally binding contracts agreeing to purchase the property at a set price when it is finished, gambling that the value of the property will rise over the 2 years or so until completion. Buyers typically put down a 10% to 20% deposit but do not secure a mortgage until a few months before completion. If they can’t find the money to complete they are in default on their contract, forfeit their deposit and face being sued for damages. These damages can total the difference between the reduced price the developer finally achieves for the property and the original agreed price. Their problems will be compounded by the fact that many will have paid above-market prices thanks to incentives offered by the developers and they will find they have a bigger shortfall than they anticipated on completion. Where is the problem the biggest? Many off the plan purchasers were foreign residents hoping to secure a loan in Australia for their property. And many didn’t even have a deposit saved up – they borrowed for their deposit back home. Now China is making it hard for it’s nationals to take money out of the country, Asian banks are reluctant to lend for Australian property purchases and local banks have all but stopped lending to foreign residents. 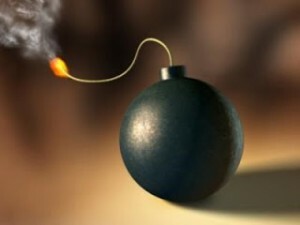 Yes …it’s a ticking time bomb waiting to explode! It won’t be rosy for those that settle. And those able to settle may still find themselves in a heap of trouble as they’re likely get stuck with negative equity. A glut of new high rise apartments is likely to hit the market with the peak in projects being completed coming later this year, but this will be the time that some investors scramble to sell their properties at the same time as the developer will have to try and resell their stock. This is of course likely to make the value of similar properties plummet and drag down the value of those investors who had the financial discipline to settle. 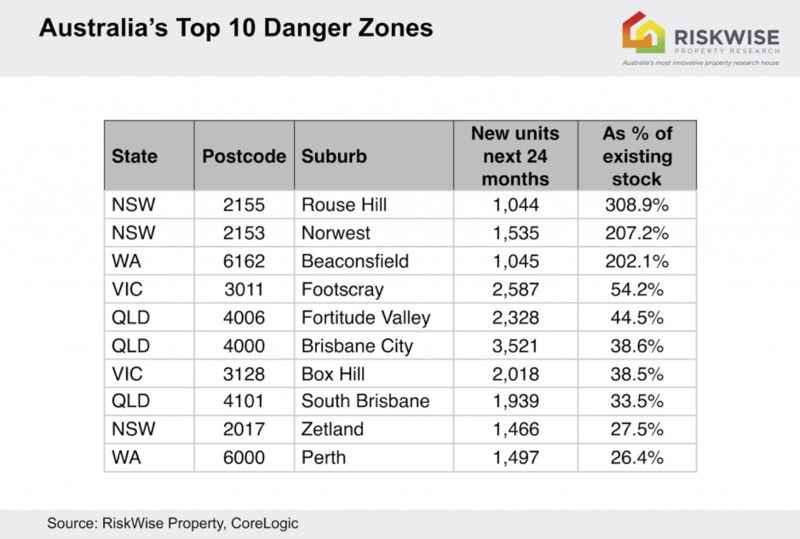 I’d be staying well clear of the inner CBD apartment market and surrounding suburbs as this is where much of the fallout will occur. A local property investor in, say an apartment or standalone house that has a site valuation of even say $550,000(that is the lower end, site value of most city properties) would pay an annual land tax in Victoria $875 PA but an absentee owner of that same property would pay $9125.00 PA how ridiculous is that,.this change came about in 2017. Every absentee owner that has been caught in this bear trap is going to be throwing their keys in the middle of the road for anyone to pick up .Our leaders have let the property sector down by firstly exposing all of us to foreign investors that, if they panic and start selling at once ,which is what is happening now will absolutely crush values and send most exposed investors,owner occupiers, tradies real estate agents ,architects, engineers,property advisers, builders ,developers,retirees will be hit hard .there will be blood on the streets. So what is tour advice for us who are in this situation. We bought an off the plan property (at the peak) with a 10% down and incentive from the developer (no stamp duty) with an 18 month build time. The marked dropped considerably. The valuation came in considerably lower than paid. We were then unable to get conventional finance. We kicked in another 10% deposit and were still unable to get conventional finance. Eventually we settled, rented it at below expectation, and are currently holding onto the asset as a negative geared asset, in the hope it will gain growth over time. In my view Mid North Coast is a great place to invest in units. I did my research 6 years ago and bought 3 units, great returns of 5% and never short of tenants. I’ve just sold one of them and enjoyed almost a 50% capital gain over 2 and a half years. My point is there is no need to stick to capital cities whereby you’ll do much better elsewhere wih minimal risk. Why buy 1 property when you can have 3 for the price of one i rest my case. I’m glad your investments performed well Noel. Why would you seel it if the unit grew so well? i’m going to top up my super portfolio, so as to have a good balance of property and super better tax effective specially nearing retirement age.which ever way i see it love property, but too many expenses per say however, my remaining bricks and mortar are for long term as it should be viewed i have set up line of credit for cash flow. Super is a diverse investment Michael and can be fruitfull wether be a TTR which i have or set up SMSF which i’m considering. OK Time for an update on this previously published article. Been here, done that. The simple way around this is to tell the bank you are taking out a home loan and not an investment loan. They wont hesitate to do this as they want the business too. Thank you for reding my material so carefully that you realise when i republish an article – with thousands of new readers every month, I tend to republish articles for their benefit. Great debate folks, hey Scott you may consider investing resi Adelaide..say 4-5km form the cbd Ovingham – Prosopect area, much cheaper than the eastern states. large blocks, certainly gentrification, hold for a decade then become the developer. Keep renting where you are. Theres your super all sorted. Remember, stats are across the board. there is a good 15% plus growth in certain loacations..even in Adelaide. Stay cool mate! Just a note for your keen followers. As a broker I can say that banks are tightening up on lending LVR’s( Loan to value ratios) but can still lend at 90% including mortgage insurance at the moment. Without doubt some lenders will further retract and some will remove themselves from investor lending full stop as AMP have done last week. Tip to buyers off the plan is to get saving really hard to bridge the gap therefore minimizing the impact. This change in investor lending rules has been taken advantage of by the banks, and in the renegotiation of my investment loans I am hearing from my bank that they are “obliged” to raise interest rates for investors.I think they are just trying to make more money. Along with this I have found that I cannot use the equity I hold in my properties for construction of homes unless I can afford to pay principal and interest on the loan!! A few weeks ago I could’ve accessed the equity easily, interest only…no questions asked. I feel for you Danny. I really do…. must be tough that you now need to service a loan like an OO. Great news for us people trying to find an affordable and stable place to live. Maybe soon prices will come down to a more reasonable level. Good luck Danny. Yeah more “stock” needed. I hope your as upbeat when it falls over and your “stock” is worth less than you paid for it, or it is returning SFA from the lowered rent due to oversupply and increased competition. It’s good to be positive Scott. Just buy carefully in good areas that people want to live in, aim for growth in the long term, and not rental return, look after your valuable tenants and you won’t fail. It’s along term investment. I’ve been investing for almost 30 years in property and I’ve never looked back. It’s not a place for those who want to make a quick killing. Property cycles come and go, you balance the good and the bad times. There will always be doomsayers, but in the long run, I’ll succeed … But thanks for your concern. Have a good week Scott! Seems the type of values you have as an investor are few and far between in this day and age. The “new” landlord, couldn’t care less about the tenant or even upkeep and presentation of the asset. I think that can’t loose mentality could be Australia’s Achilles heel to an extent, the younger breed of “investor” might not be so lucky as the boomers. Time will tell I guess. So do we laugh or cry if apra themselves bring about a crash they think they are preventing thanks to their actions. Same old thing every property boom. M.Y. is not predicting anything new here. Like me he has been around for a long time and so has seen this happen almost every property boom. I wouldnt place my bets on the Chinese holding up the off-the plan market either. With our dollar crumbling so is the value of their investment. That alone could cause a panic sell-off at any time. If they have a financial crisis in China then watch them all sell up at the same time. So foreign investors dumping thier property stock wont be pretty either. That is another major risk nobody has even mentioned. Its no wonder the RBA, APRA and the major banks are starting to take pre-emptive precautions. The writing is certainly on the wall if anyone chooses to read it. Anyway MY, shrewd investors will sell-on their off-the-plan purchase to some other late to the party speculator. 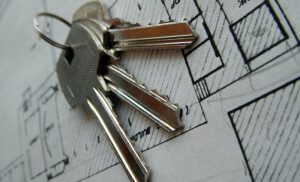 There is no need to wait till completion to sell your off-the-plan investment. It doesnt take much to double your deposit on these. About time they put the leash on all this speculative “investors” and give the people looking for a place to live and raise a family a go. The state of the rentals these days is 95% of the time disgusting, without the “landlords” even bothering to clean the joint… Try asking them to fix anything! Very lucky if you get a decent one who will look after the tenants and asset. Sitting on the sidelines with money in the bank until it all comes unstuck and these over leveraged “investors” realize they were sold lemons…very expensive ones. You’re right Scott – it is a myth that property prices never go down – they do cyclically. But the price of well located capital city properties never “crash” – at least they haven’t since the 1890’s. I don’t think so. Heaps of people talking about the crash for a long time and it didn’t happen. One major factor you are forgetting is there is heaps, I means HEAPS of overseas Chinese money coming in to buy these off the plan units. They don’t rely on local finance to buy so valuation does not stack up doesn’t worry them. If the price does not rise up they simply hang on to it. When they compare properties here to their local countries, it has CHEAP AND STEADY ALL OVER THEM. There won’t be a crash, those did not buy today, will again, like few years ago, miss out again. 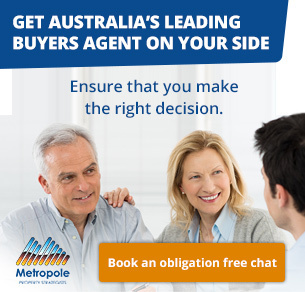 You’re right – the overseas buyers tned to put down bigger deposits and have different sources of finance. It’s the local specualtors who’ll get caught out. I guess we will see Macy. Once in a century commodities boom kept us afloat during the GFC. Hows it going now. Business confidence and investment flatlining…. Median house price e 1M…aging population. Is your wage keeping up with housing increases? I agree Scott. Asian countries at least have a manufacturing base. Most Sydney people who are late into the real estate market are just thinking that their rental house/apartment is a way of becoming rich. Whatever happened to actually making something and then selling it. Scott. You are exactly the type of investor that MY is referring to. I have been through this a couple of years ago and it is very scary to face the possibility of defaulting. My mistake is a warning for others about researchign properly before signing up. I purchased a Melbourne CBD (bad decision and boy have I learned a lesson) – not only was the value under purchase price, but it was classified as a small apartment as the valuer used the inside skirting rule to measure instead of middle of the walls (even though I am still responsible to middle of the walls if anything happens) taking it below 50m2. this meant that my lenders would only lend to 60 or 80% of assessed value. so not only did I have to fund the shortfall between purchase and value, I also had to find another 20% for what they wouldn’t lend to. I managed to make it work so at least I have a reasonable cash flow property, but am behind in the capital gains. given the way lending practices are now, I am sure it will be even worse. that could be a big problem for many off the plan buyers – but how will it affect surrounding suburbs? Another great article Michael – there’s going to be some blood on the streets.